I love the smell of rat fur in the morning. The Co-Opticrew is taking some time this weekend for a little early Spring Cleaning. Specifically, we'll be cleaning hordes of talking rats out of the gutters and alleyways of the Old World in Vermintide 2. It's a tough job, but luckily, we stopped by our local hardware store and grabbed a few new pyromancy spells and various bludgeoning tools. Those should help do the trick. Outside of that, we're continuing to hunt monsters, play board games, and finish backlogs. Check it out! Nick Puleo (@NickPuleo) - "Vermintide 2 sounds good. I'm also hooked on Fortnite's Battle Royale mode." Jason Love (@JLove55) - "Continuing to hunt those tempered Elder Dragons in hopes that one day I'll get a warrior streamstone for gunlance instead of the pile of axe ones I've got sitting around, and maybe some Vermintide 2 as well because the RNG seems better in comparison." Mike Katsufrakis (@Pheriannath) - "Vermintide 2 for sure. Maybe some Divinity Original Sin 2 as well?" Eric Murphy (@smurph_em) - "We'll probably stream some more Left4Dead tonight, otherwise Destiny 2 is also an option. Catch us on our Twitch channel and laugh at our mistakes!" Marc Allie (@DjinniMan) - "Bayonetta 2 for me. Also a small Guild Ball event tomorrow." 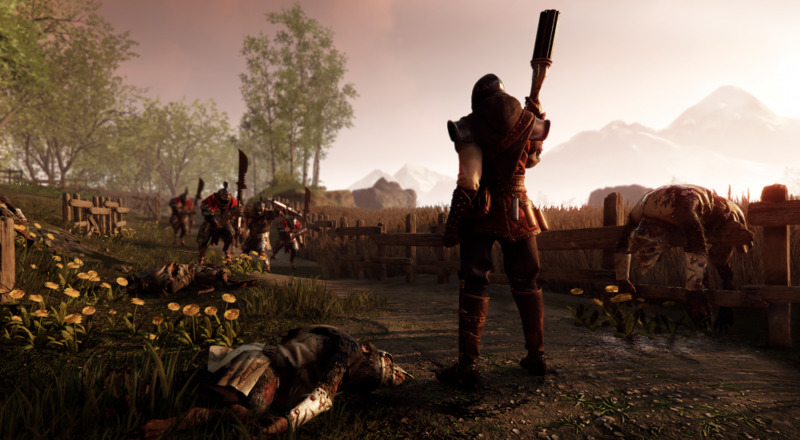 Locke Vincent (@LockeVincent) - "Vermintide 2 popped this week and it is a really smart upgrade to a great game. Excited to push back the forces of Skaven and Chaos with my pyromancer." Tally Callahan - "Getting some recently acquired board games to the table for some more sessions. Legend of Korra: Pro-Bending Arena will definitely be making an appearance!" Enoch Starnes (@enochstarnes) - "I'll be dipping myself into an immersion tank labeled 'Vermintide 2' and hopefully taking down a few more colossi in Shadow of the Colossus." Matthew Squaire (@mattaghetti) - "I wrapped MGS V TPP this week (finally) so I'll either finish Bayonetta or The Last of Us. Guess who's spring cleaning their backlog to start the year? This guy." No Weekend in Gaming article would be complete if we didn't ask you, the reader, what you'll be doing. So, anything planned? Page created in 0.5758 seconds.